It is commonly known that abnormal sleep adversely affects your quality of life and impacts your health in general. When you have an oral health issue that interrupts proper sleeping habits you're at higher risk for other health problems. In addition, you can suffer from daytime fatigue, morning headaches, and impaired cognition. The resulting impaired memory, concentration, vigilance, and attention can lead to accidents and poor work performance. People with sleep disorders make up a small segment of the population, but their impairments affect us all. The next sleep impaired individual you encounter could be the pilot of the plane you're boarding, your taxi driver or your surgeon. Chronic Mouth Breathing. Chronic mouth breathing can result from blocked nasal passages, a deviated septum, seasonal allergies, chronic rhinitis or enlarged tonsils and adenoids. Mouth breathing leads to altered muscle use and alignment in the nasal and oral cavities. Such changes can result in obstructive sleep apnea (the temporary cessation of breathing), or abnormal breathing that disrupts normal sleep patterns. Even if sleep apnea is not present, the dry mouth and throat caused by mouth breathing can bring on hoarseness, sore throat, choking, coughing, or snoring, thus waking you and your sleeping partner. Teeth grinding or bruxism is repetitive jaw movement, characterized by the clenching or grinding of your teeth. Teeth grinding can cause jaw pain or tenderness, headaches, and fatigue. For some people, the grinding is quite loud and can disrupt your sleep and the sleep of anyone in close proximity. Teeth grinding is sometimes caused by anxiety or stress which can also cause other adverse oral conditions like tongue biting, cheek chewing and abnormal swallowing that will affect sleep. Getting to the bottom of the source of your stress could have a positive influence on your sleep satisfaction. Loss of teeth. Missing teeth can cause changes in the jaw bone and in the size of your oral cavity. Anytime you are missing some or all of your teeth, the shape and capacity of your mouth cavity are affected. 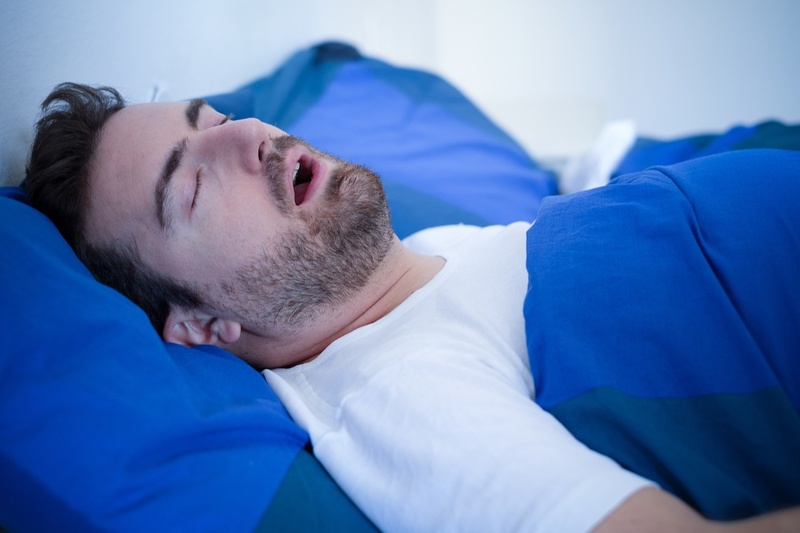 Reduced room in your mouth can bring about increased snoring and sleep apnea. It's been estimated that up to 30% of the population have oral problems that can cause sleep impediments and that only 10% of the people affected get diagnosed. The advancement of dental sleep medicine practices will allow dentists who encounter sleep disorder symptoms (during, the course of a dental examination), to work closely with clinicians from other disciplines and specialties to address sleep/oral health issues. Proper sleep is the pathway to excellent health, and while the perfect mattress can go a long way toward improving the sleep experience, other factors may be preventing you from getting a good night's sleep. Use of a sleep app might reveal whether you should consider having a sleep study done. Sleep apps contain movement and noise monitors that let you know how much tossing and turning you do and how often you snore, moan, groan or gasp. In any case, you might want to take a closer look at the relationship between your oral health and the quality of your sleep.